Skate Mates and Spin Zone are not included with the party packages but can be purchased for an additional price. Add more FUN to your party with our goodie bags for only $3.50 each. UP TO 8 GUESTS. $17 FOR EACH ADDITIONAL GUEST. We consider guests to be children that will be eating and participating in the activities. Adults are not considered part of the “guest” list. Is the Birthday Child included in the 8 guest minimum? What if not all my guests show up? Our parties are set up for an 8 person minimum, so we automatically set up the party room to serve 8 guests, but after your first 8 guests you will only be charged for the amount of guests that arrive. You are welcome to bring tablecloths, balloons and large centerpieces. We discourage pinatas due to not having a place to hang them. Yes, we require a $25.00 deposit within one (1) week of booking your party. If adults are staying, do I have to pay for them? If an adult stays, but does not participate in any activities, there is no charge for him/her to be in the building. If the adult decide that they would like to participate in an activity, you may add their cost o your party bill if you wish. If adults are not included in the guest list, can I buy extra food to have in the party room for them? Yes, we sell extra trays of pizza and extra pitchers of pop and would be more than happy to have them ready and in the room for when your party starts. What food am I allowed to bring? You are welcome to bring a cake or cupcakes, but no other outside food or beverages is allowed in the building. When do I go in the party room? 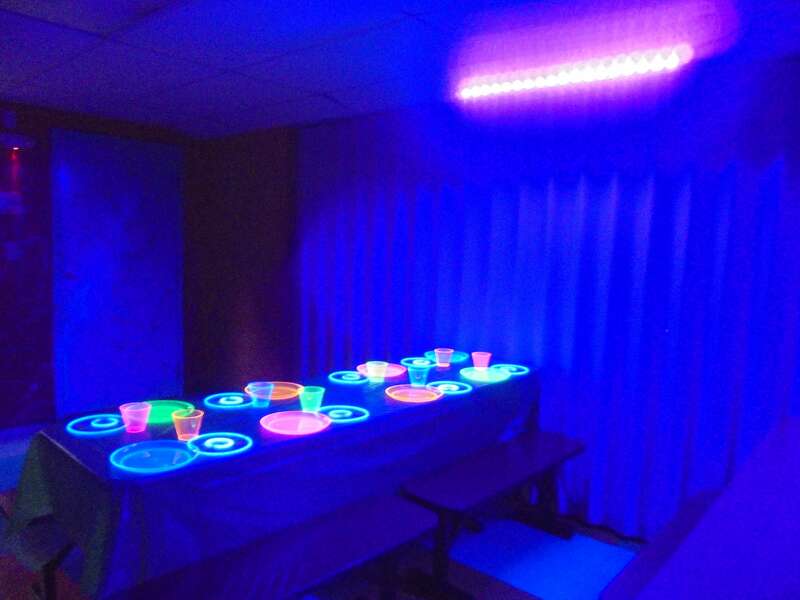 We reserve Birthday Parties for a 3 hour time slot during the public session you choose. Your party will go into the room for (1) hour sometime during that 3 hour period. The specific room time is not determined until the day of the party. How can I book my party? You can book your party three easy ways. You can stop by, call us at (724)981-3374 or book online at www.olympicfuncenter.com. We look forward to hearing from you! © Copyright 2019 Olympic Fun Center.